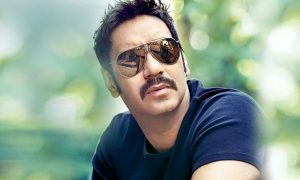 Golmaal Again Reunites Ajay Devgn And Prakash Raj! Having worked with Rohit Shetty in Singham, Prakash Raj is now gearing up for the fourth installment of the Golmaal series titled Golmaal Again. Not just Rohit, Prakash is thrilled to be sharing screen space with Ajay Devgn too. Having done Singham together, there is a level of comfort that Prakash shares with Ajay. The actor has not been seen in Hindi films for so long but has been on the go and has directed three films in that time. “I had been busy with the village which I have adopted. Besides, I directed two films down South (the Tamil-Kannada-Telugu trilingual Un Samayal Arayil and bilingual Manavoori Ramayanam in Telugu and Kannada) and one in Hindi with Nana Patekar, Shriya Saran and Ali Fazal (Tadka). But you’ll hear more announcements close to March”, he added. Golmaal Again is directed by Rohit Shetty and features Ajay Devgn, Parineeti Chopra, Arshad Warsi, Tusshar Kapoor, Kunal Khemu, Shreyas Talpade, Neil Nitin Mukesh and Tabu. King Khan To Host Hindi Ted Talks!